If you are age 62 or older, you qualify for a Golden Age Pass. The Golden Age Pass is available to U.S. citizens or permanent residents who are age 62 or older. The Golden Age Pass is a lifetime entrance pass to national parks, monuments, historic sites, recreation areas, and national wildlife refuges that charge an entrance fee. The Golden Age Pass admits the pass signee and any accompanying passengers in a private* vehicle if a park has a per vehicle entrance fee. 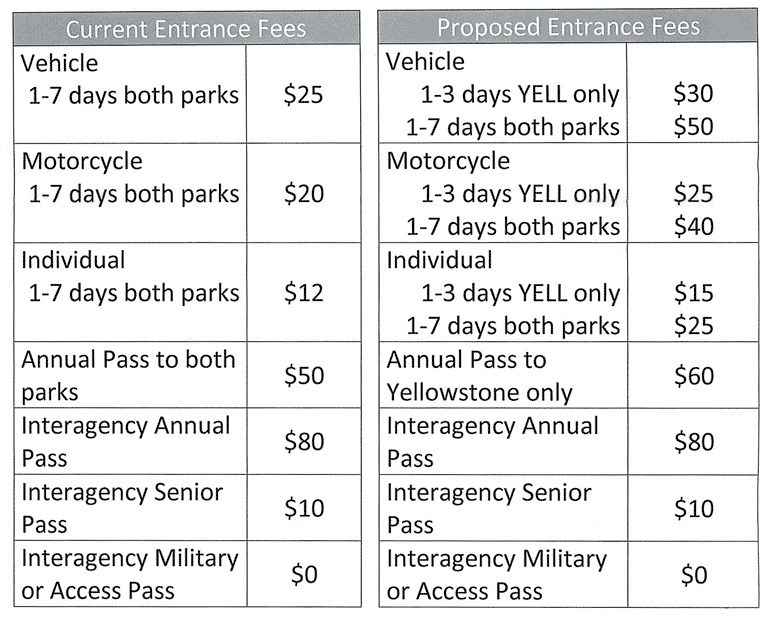 Where a per person entrance fee is charged, the Golden Age Pass admits the pass signee, spouse, and children. This pass is for citizens or permanent residents of the United States. If you have a permanent disability, you may qualify for a Golden Access Pass. The Golden Access Pass is a lifetime entrance pass to national parks, monuments, historic sites, recreation areas, and national wildlife refuges that charge an entrance fee. The Golden Access Pass admits the pass signee and any accompanying passengers in a private* vehicle if a park has a per vehicle entrance fee. Where a per person entrance fee is charged, the Golden Access Pass admits the pass signee, spouse, and children. This pass is for citizens or permanent residents of the United States.